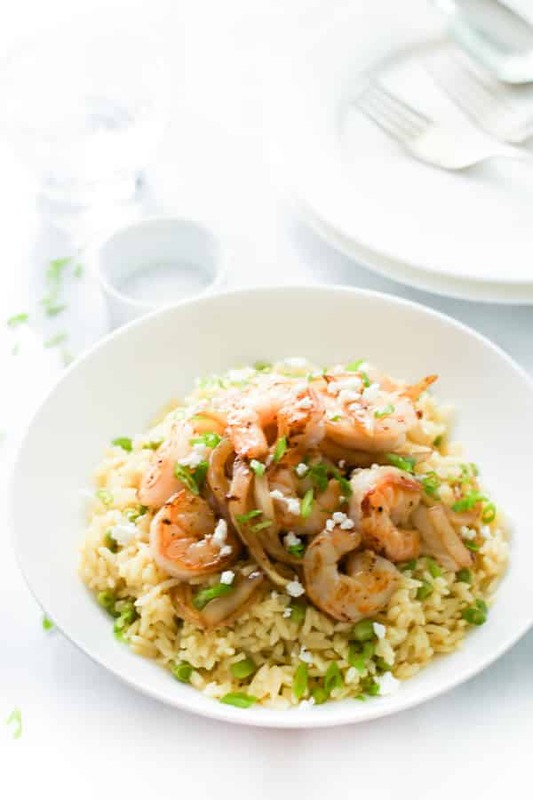 Save your time making this quick and delicious Rice with Balsamic Onions and Shrimp. 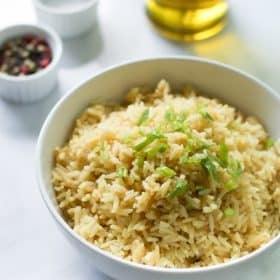 Last post I shared with you guys my easy and quick recipe How to make fluffy rice. When I finish to make the fluffy rice, it was about lunch time on Sunday and I decided to make some balsamic onions with shrimp to serve along with my fluffy rice. I love to make balsamic onions because it always adds lot of flavor to any dish and for some reason I just think the balsamic onions with polenta or rice combine together perfectly. So, if you are very busy on your weekend, doing fun activities with your family I just recommend you to add this recipe on your book. You and all your family will enjoy the layers of flavor in here and you won’t waste your precious time cooking for hours on your weekend. Thanks a lot for reading. Want to browse all of my healthy recipe posts? Follow my Primavera Kitchen Board on Pinterest!!! 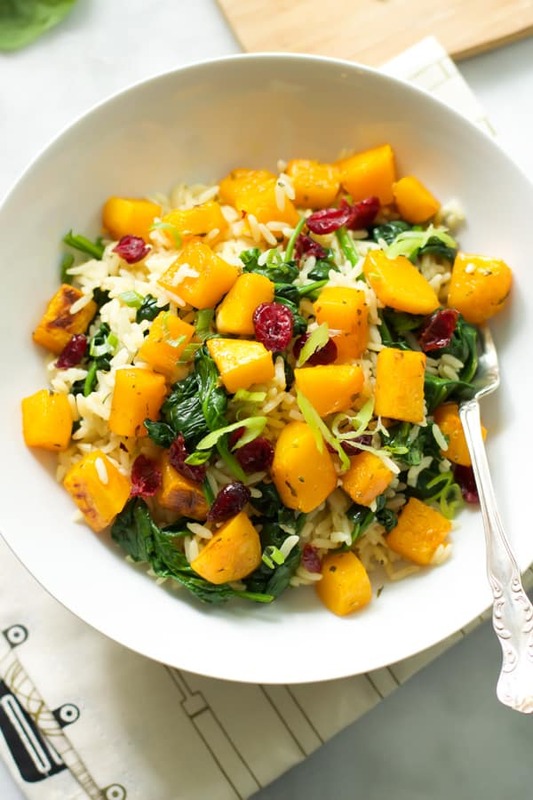 I also have an awesome Healthy Fall Recipes and Healthy Dinner Pinterest Boards. 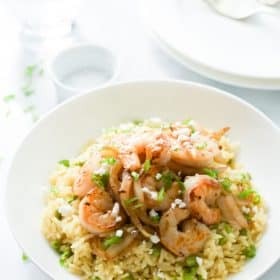 This rice with balsamic Onions and Shrimp is gluten free, flavourful, delicious, super quick to make. Save your time cooking easy and tasty meal. Warm up a large skillet over medium-high heat. Add 2 tbsp olive oil and garlic. Sauté for 15 seconds. Add the onions and sauté until onion begins to soften and become tender. Reduce heat to low and add balsamic vinegar; cook for about 3 minutes, stirring frequently. Remove the balsamic onions from the skillet and add 1 tbsp olive oil over medium heat. Add shrimp and cook for 2-3 minutes, or until they turn pink. Season shrimps to taste with salt and pepper. 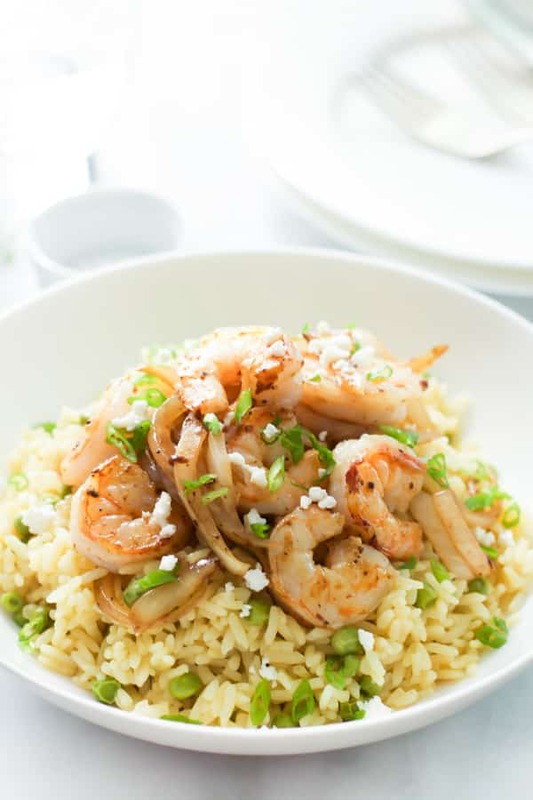 Layer cooked rice with peas, balsamic onions, and shrimp evenly among on a plate. Garnish with fresh green onions and feta. 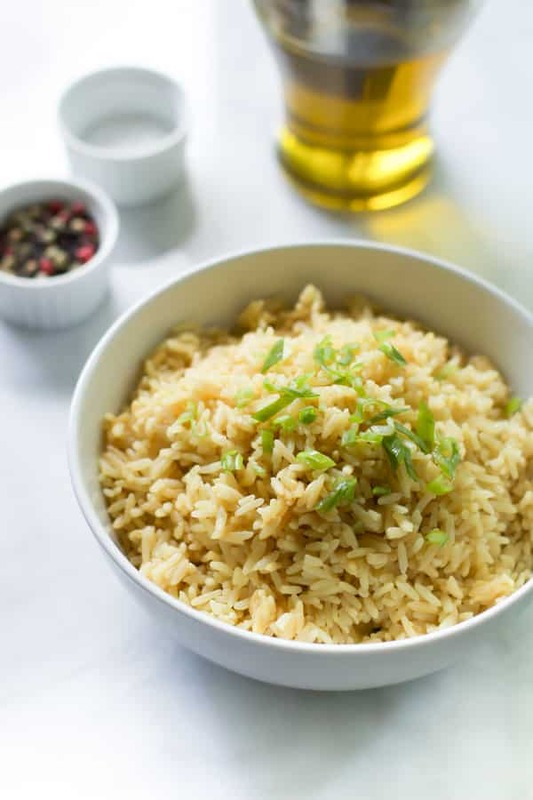 If you like this Rice with Balsamic Onions and Shrimp recipe, please share with your friends and family. Do you wanna taste more? Subscribe to my newsletter and follow Primavera Kitchen on Twitter, Pinterest, Google +, Instagram and Facebook for all delicious recipes updates. As always, you are really appreciated for stopping by. 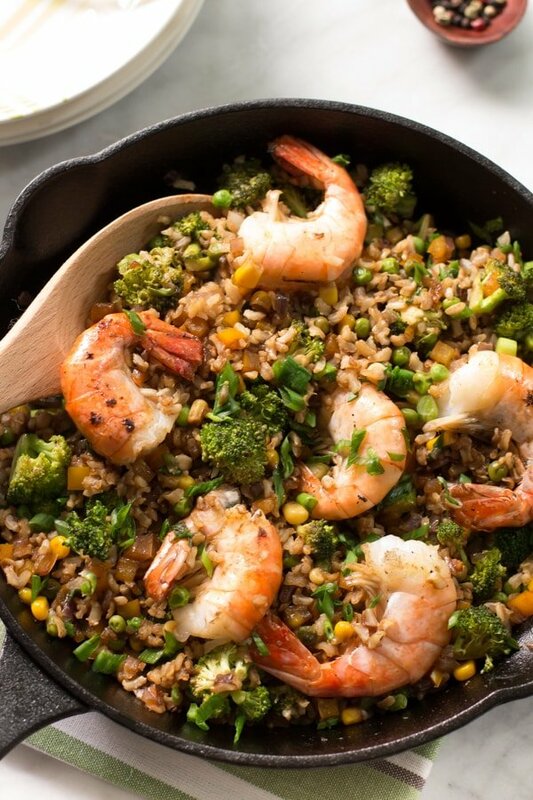 This Shrimp Fried Rice with Broccoli is better than any takeout. This looks so good! Shrimp is one of my favorites with rice. Gotta make this one! Beautiful shots as usual! I love your photography! This rice looks amazing, Olivia! I love the addition of onions and shrimp! This looks incredible, Olivia! 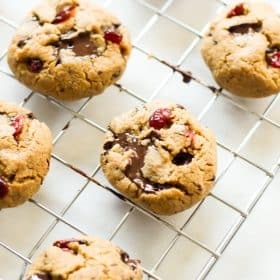 The flavors sound amazing and I love how easy this is too! Gorgeous pictures as always too – pinning! 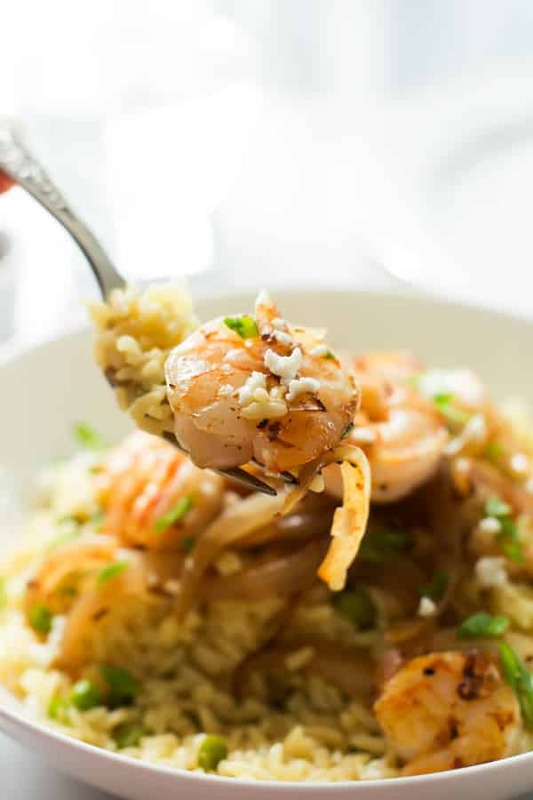 I think those balsamic onions would be fabulous on just about anything, and with the shrimp? YUM! What a delicious looking meal! I love the sound of those balsamic onions! Yum yum! Ohh this sounds really awesome– I love balsamic anything! Great healthy weeknight meal! There’s so much great flavor in this! The balsamic onions are the perfect touch.